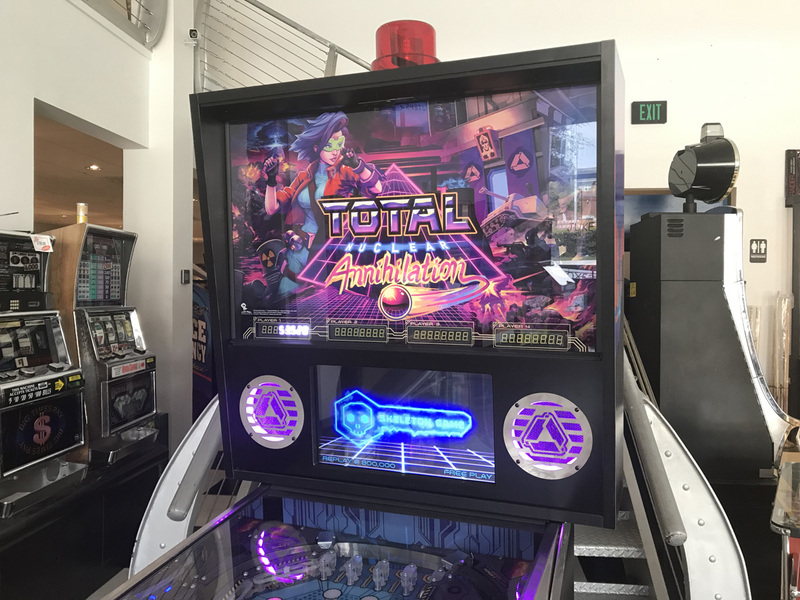 Total Nuclear Annihilation Pinball Machine | Fun! 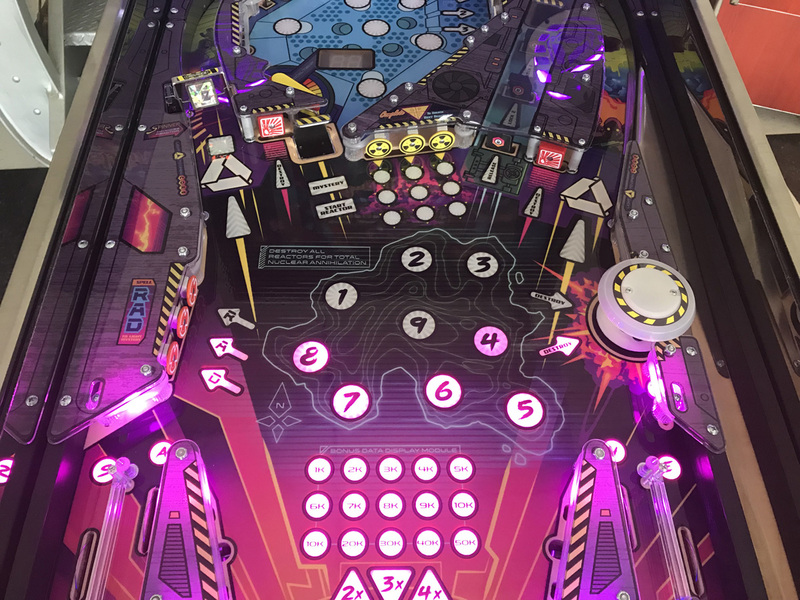 Spooky Pinball LLC is thrilled to bring you a game so unique, it’s changing what pinball can be! 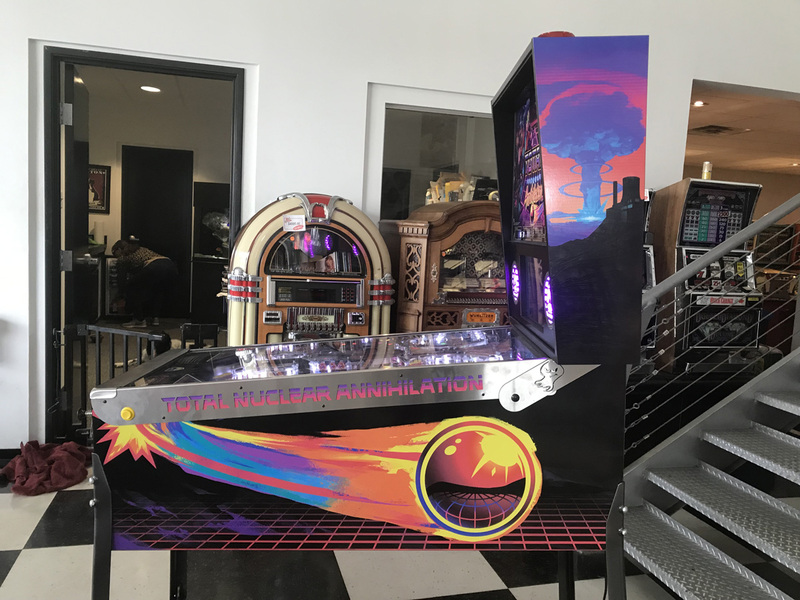 Comes with full RGB LED’s in the entire game, full laser cut stainless custom side rails, 4 player digital displays, LCD display, and an awesome original soundtrack by Mr. Danesi himself powered by an enclosed subwoofer in the lower cabinet. This game thumps! 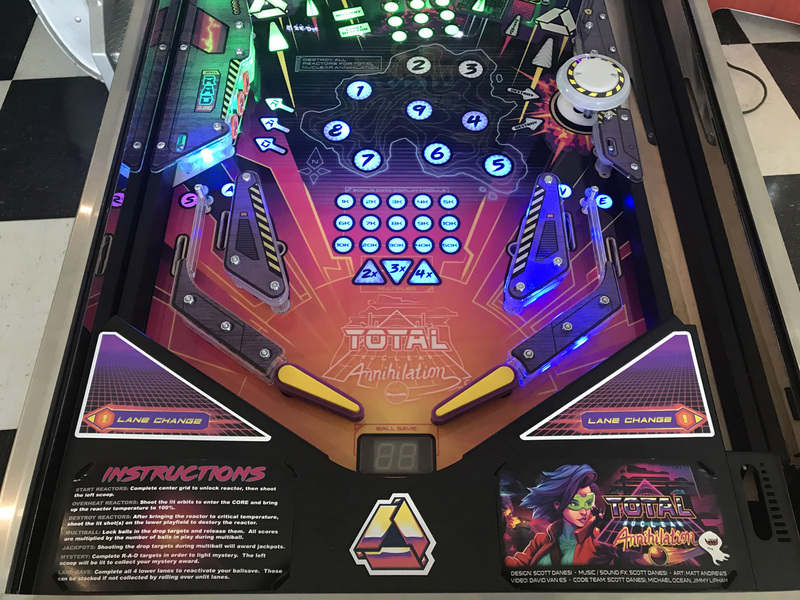 See for yourself why Total Nuclear Annihilation has won Multiple “Best New Game” at Pinball Shows across the US, including Pinball News 2017 GAME OF THE YEAR! 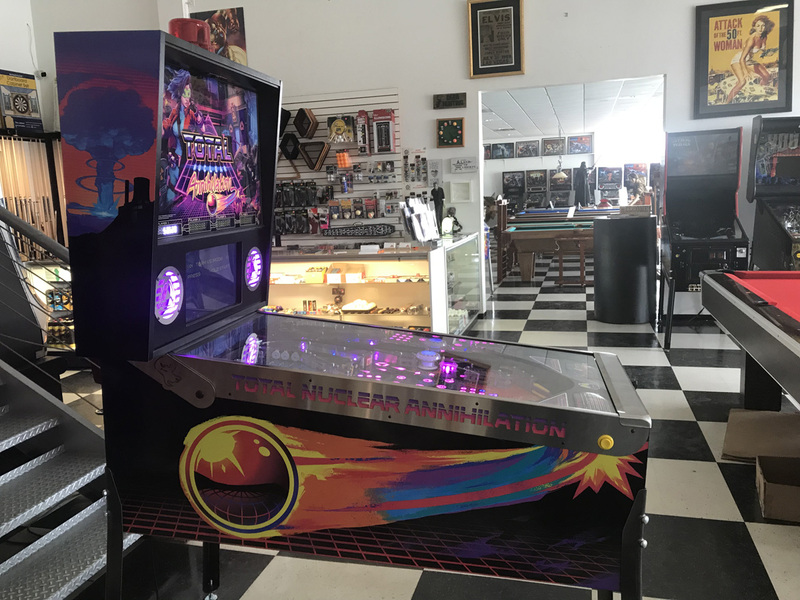 This Total Nuclear Annihilation comes traded into us from a local collector. 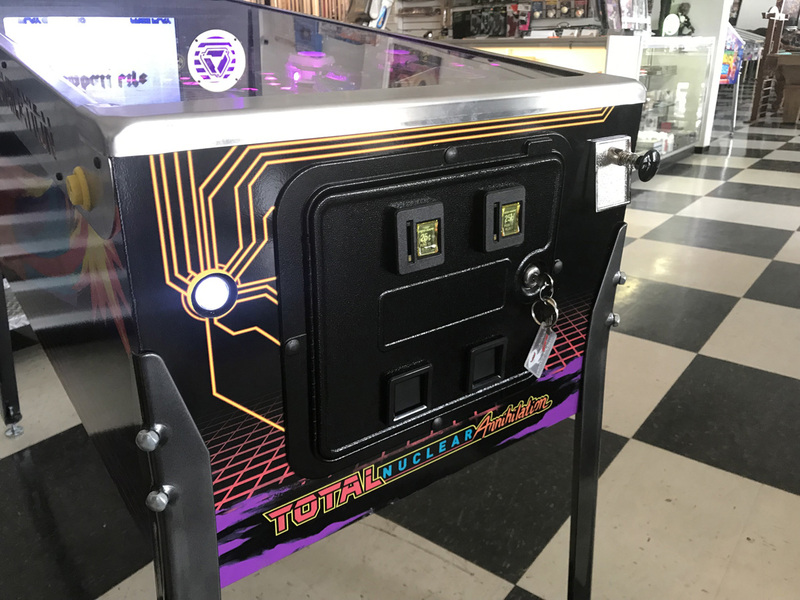 This game is HOME USE ONLY, meaning that it has never spent any time in a commercial establishment or bar and goes to show by the remarkable condition it is in. 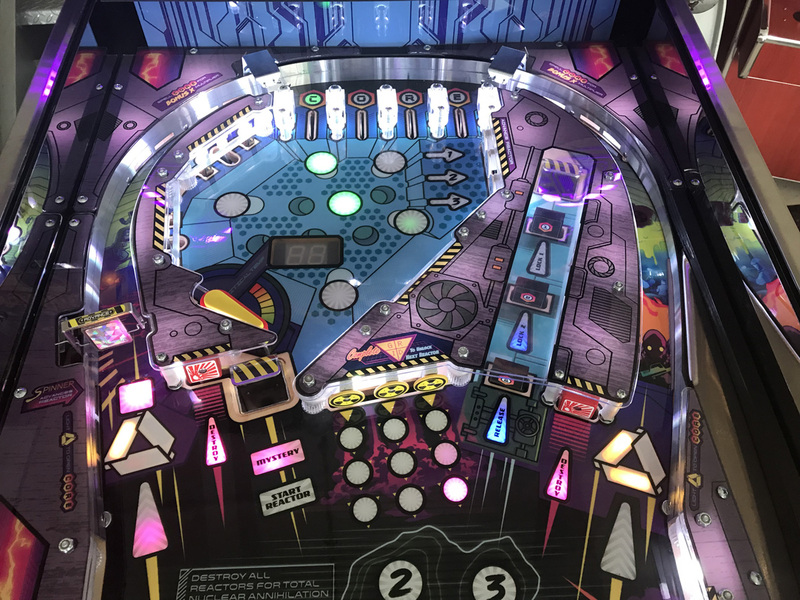 This game was well cared for by its previous owner and looks and plays like a brand new pinball machine. 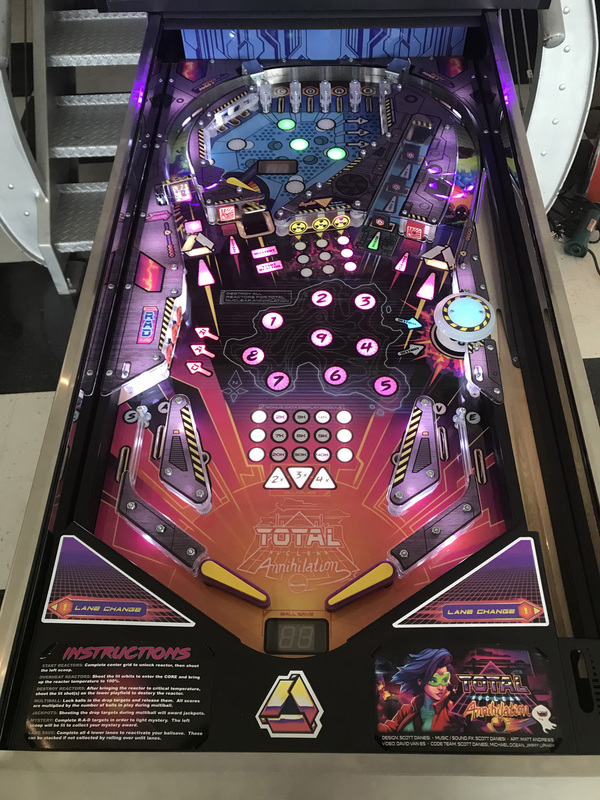 We do not claim it to be brand new…but it practically is new! Before updating the game code to the latest software revision (v1.30) the audits showed just over 200 total plays. 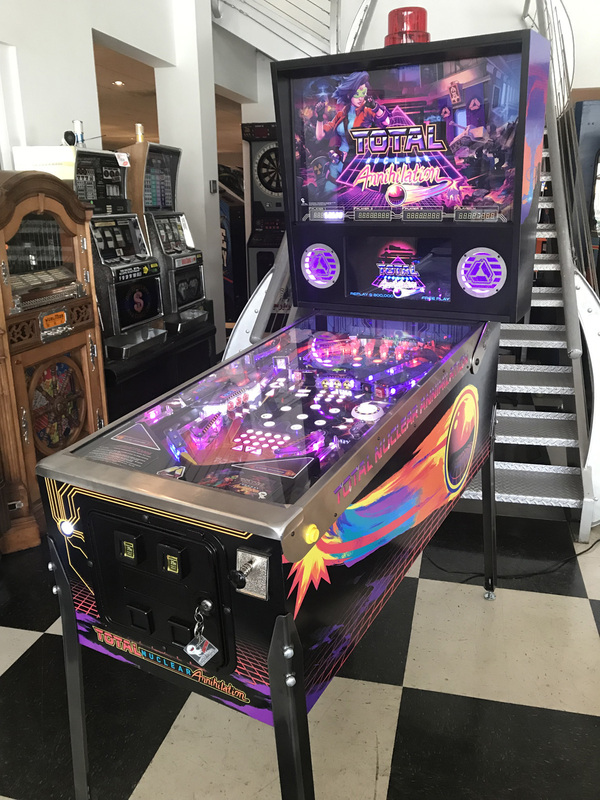 Which is extremely low, considering in a commercial establishment a pinball can easily range from 1000-2000 plays per week! 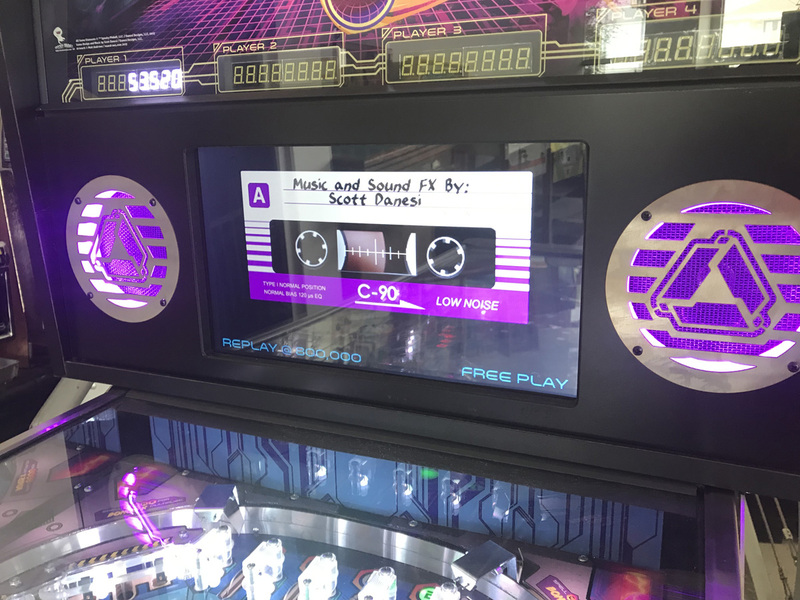 Included with this machine is the collectible Scott Danasi “Total Nuclear Annihilation” pinball soundtrack cassette tape. Total Nuclear Annihilation includes our standard 30 day limited parts/labor warranty. 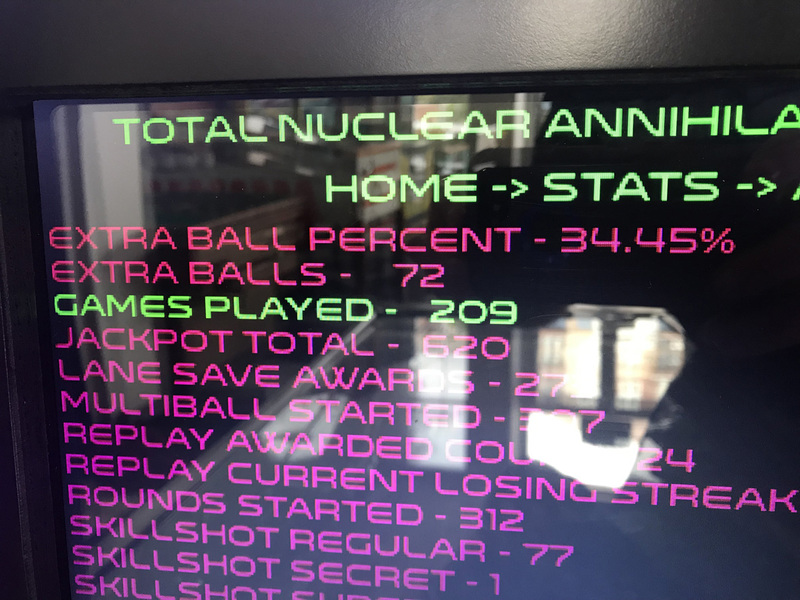 Own TOTAL NUCLEAR ANNIHILATION now and see what all the pinball buzz is about!